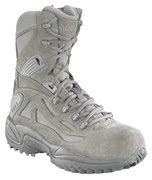 Its no surprise that many of our military guys are choosing to replace their heavy boots with light weight combat boots.In combat when you have to carry 80 pounds of gear your feet scream after a days work. Seems like Converse found a light weight and durable boot that find many happy customers in the Army, Marines and airforce. We have tried them out and do recommend them . It’s really great stuff overall, I just wanted to say thank you. I am looking forward to another great article from your side.